As if there wasn't enough Star Wars Wars stuff already. George Lucas has to pay for his ashes to be shot into the sun somehow. 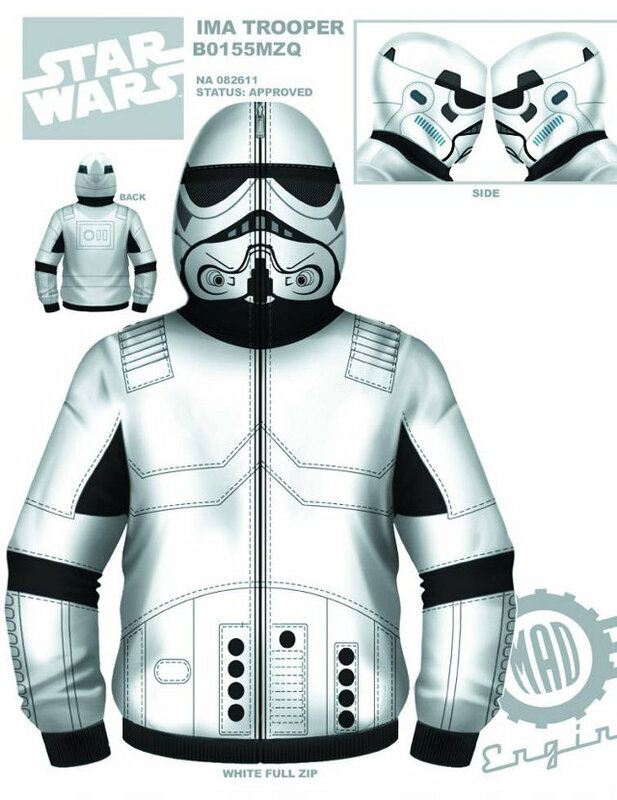 Coming to a riot zone near you, full face Star Wars Hoodies from Mad Engine. They’ve got Boba Fett, Darth Vader, Chewbacca, R2-D2, and a Stormtrooper.